Before school started, MP found herself with no childcare and a deadline to meet. 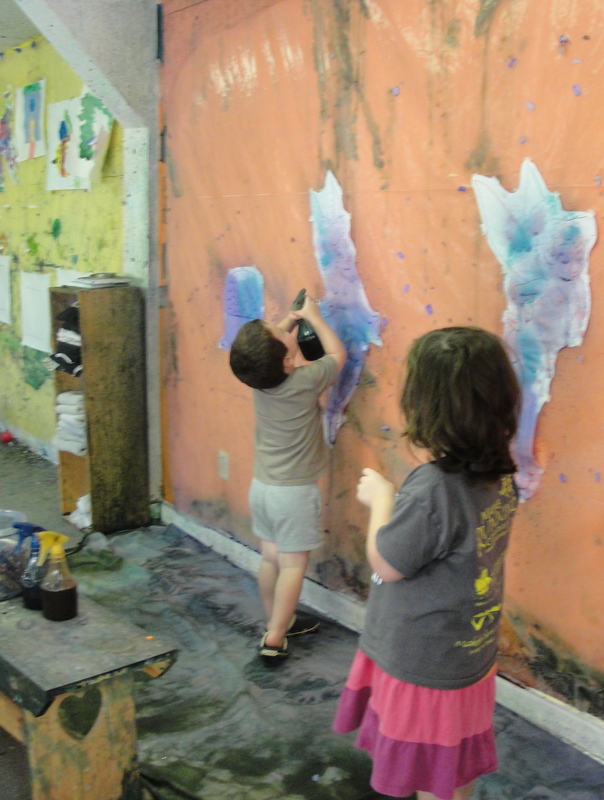 A friend recommended taking CP#1 and #2 to Smudge Art Studio in Freeport—a creative space for kids. To MP’s delight and surprise, owner Sarah Jacobs will entertain little ones with art projects for two hours. Parents are free to go! CP#1 and #2 were wide-eyed when they entered the studio. Smudge is the rare place where a kid can paint on the walls and get their hands sticky without Mom or Dad having a panic attack. The CP kids spent the first few minutes spraying the wall with food coloring and water. MP is certain they didn’t even notice her leave. 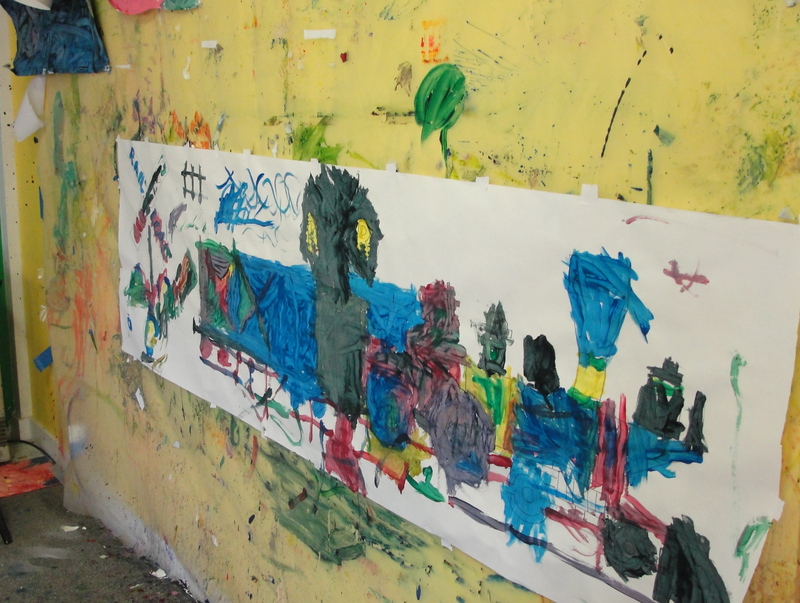 A train mural proudly painted by CP#2. MP couldn’t have been happier. She was able to meet her deadline, and the kids left with splattered faces, finished work, and huge smiles. To learn more about Smudge Art Studio for Kids, visit Sarah’s Facebook page.